Eritrean Journalists commemorate September 18. Eight years ago, on September 18, 2001, the Eritrean government closed the private newspapers and started to hunt down the journalists. It arrested most of them and few fled the country. Though we have no up to date figures, five of them have been confirmed died in jail. Eritrean government is currently known as the biggest jailor of journalists in the world with more than 25 journalists languishing in jails for years. On this day, the Association of Eritrean journalists in Exile (AEJE) would like to introduce itself to the Eritrean public and to the world. This Association boasts membership of more than 30 Eritrean journalists. The exiled journalists may have worked in the private press or governmental papers. Some were contributors, and some are still working in opposition websites and Radios. 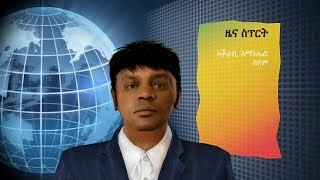 With renewed commitment to keep the freedom of press alive, the Association of Eritrean journalists in Exile wants to support these who are advocating for protection of Eritrean civil liberties. It testifies that even though there is no freedom of press and expression in mainland Eritrea, it still lives in the heart of Eritreans. It joins its hands with the civic and human rights organizations and pledges it will contribute its share in bringing justice and liberty back home, to Eritrea. Today, some members of the Association evocatively tell their own reminisces of September 18. …Esteemed readers and fellow compatriots I could have gone and on about Eritrean independent journalists and their huge sacrifice and price amidst one of the worst regimes in the world. A book can be written about each and every one of them. All of them are innocent and with out an iota of crime or transgression. Despite the PFDJ clique and its dumb supporter’s false accusations of all kinds of sin and crime, there was nothing wrong that was done. If these people and others were guilty of any crime, they should be brought to justice and be punished or exonerated by now. But the sadist government of Issias Afewerki chooses to inflict the maximum pain and final death on these and other innocent Eritreans. Just like people with sadomasochistic tendencies, the fascist Eritrean government and leadership is happy to see Eritreans suffer and die one by one in the unnamed cells and dungeons all over the land. The only crime of these journalists and many other Eritreans is to be born in that unfortunate land of unending suffering and plight. Under ordinary conditions, these journalists shouldn’t even spend one week in jail. Even by the low standard of African freedom index, they were not supposed to be fined even a penny let alone languish all these years in jail. But the current evil God-less regime in Eritrea is not interested in crime, legality, and rule of law or even in catching the culprits if any. No, its main goal is the destruction, emaciation and eventual death of Eritreans and Eritrea. There is an English phrase or line said by many, “I wish I knew”. Almost all of has said it in one or another instance of our life. Eritrean independent journalists were young, full of passion, ideals and commitment to the betterment of the masses. Like any young people all over the planet, we dreamed of a nation of thoughts and philosophies, a land of flourishing artistic activity and respect for human dignity. We didn’t know we were dealing with one of the most murderous regime and heartless leadership in Africa and the world for that matter. We had no idea we were launching a newspaper in the land of an insane and an unstable leader even by African standards. We had no suspicion or hint that we were starting newspapers and advocate for freedom of speech in one of the worst political movements and culture where thousands were massacred for being educated and asking questions in the field. We didn’t know that the worst system Eritreans ever seen and experience has supporters in the western democracies who campaign for fascism and tyranny back home. We didn’t have any inkling that the bestial and child murderer regime in Asmara had such large number of political prostitutes in the West who were willing to be raped again and again. How could we? As any thing in this physical world, the current Eritrean regime will go one day when its day comes. Nothing is forever. One day the glorious story and history of Eritrean independent media journalists and other patriots will be told and written. The next generation will know the sacrifice and the price paid by Eritrean journalists and other democratic forces and activists. September 18 will be remembered as a day of infamy in Eritrea’s short history and struggle to achieve democracy and justice. When the brutal, bloody and evil regime of Issias Afewerki is gone, Eritrea will be a land of many untold stories of courage and magnanimity. Lets pray to see that day and our beloved ones alive! September 18, stands out for its cruelty, for its spirit. In incredible sweep, the long march to military dictatorship was short-circuited in couple of hours and days—thanks to the cruel efficiency of PFDJ’s coercive apparatus. After September 18, Eritrea was never the same. After September 18, Eritreans were never the same. Yes, PFDJ never, ever believed in rule of law. It never believed in the constitution it fabricated and shoved down the peoples’ throats. There were Eritreans, yet, who believed in the spirit of the rule of law and the spirit of the constitution, and more specifically freedom of press. Without freedom of press and expression, they said, no free society can live under the sun. 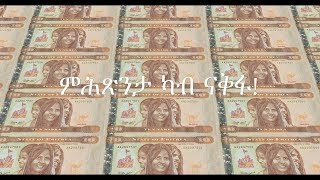 They held it true that promise: Eritreans have paid too dear, too much to make their phoenix nation a free and just one. They loved Eritrea as many others did- to death, literally. These Eritreans were one of Eritrea’s finest, bravest, kindest. They were Eritrean journalists. Eight years after September 18, 2001, many of these journalists have perished solely because they spoke truth to power. Medhanie Haile, Said Abdulkadir, Yusuf Mohammed Ali, Fessehaye yohannes (Joshua), Paulos Kidane. What tyranny doesn’t and can’t grasp is the truism that ‘there is no funeral for liberty.’ Some of our colleagues may have been buried in unmarked graves, but Eritrea still held them its lap. Some of our colleagues may have been made to disappear behind the hills of Era-Ero; but they are not hidden from our memories, prayers, promises, struggles. September 18 has special memory to those who happened to escape the grim fate of their compatriots. We know the simple fact that we are them, had it not been for a vicissitudes of life. In the vicarious existence, we bow to their memories and vow to take up their cause once more. Thus, September 18 should be remembered, chiefly, for its spirit. 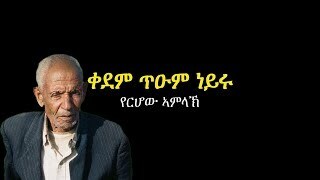 Eritrean journalists cherished the spirit of free Eritrea. We are hugely grateful for them because in these turbulent times, when cowardice, opportunism, self-interest pervasively weaken the Eritrean spirit, the journalists loomed large than all of us to pay the ultimate price. They showed us the way, the true way. They, like thousands of Eritreans responded in their very lives ‘No’ to injustice. The spirit of free nation, the spirit of resistance, the spirit of “Ab’ya” can not and shall not die in Era-Ero! Our forgotten hero’s will be crowned. What happened on Sept. 18/2001 back there in Eritrea doesn’t surprise me very much. An organization that was not the least ashamed to gun down its own fighters who tried to air their grievances sitting on wheelchairs, wouldn’t find it averse to jail and kill journalists that instilled the same threat and fear as its disabled members. In fact, sometimes I wonder if the government had allowed free speech for a short period with an impish plan, with a prior motive to find out who would be harboring subversive sentiment in his heart. Then when the writing began, the PFDJ pounced on their preys and had the ‘subversive elements’ arrested. Well, no surprise here! They had done it in the filed, and they are doing it now. They are never tired of killing, and then traumatizing those whom they allowed to survive. Joshua was my friend. I liked his ‘Mistir Koffo’ video. Their office ‘Setit’ sat just across the street from my house. I used to visit them from time to time, but the reason I didn’t write on their papers was because I was told by my boss that I wrote only for my newspapers, the ones owned by the Ministry of Information. Sometimes I feel guilty that I am alive and free to write what I wanted while my colleagues languish in jail or had drunk the cup of martyrdom. Sium was also a good friend of mine. We taught French together. I miss him a lot. He was the best of our photojournalists. After serving EPLF, all the time preferring his job over his life, look what they have done to him! I only wish that, if not all, some will see the day when their actions will be vindicated in a free Eritrea. They deserve monuments as the ones who sacrificed their lives so that we can go ahead with our work in exile. What they need from us is, in the final analysis, solidarity in defending their cause, and steadfastness in the work done for justice which they left for us to accomplish: namely, using the opportunity given us here, to fight for justice and for human rights in our country by whatever means at our disposal. Those who are enjoying the freedom her right now and prefer to dance on the graves of their brothers, they are doing them a great disservice. And history will judge them! 1 روت سيمون مديرة سابقة لقسم الأخبار في صوت الجماهير، ومراسلة فرانس بريس. اعتقلت مع طفلتها الرضيعة بسبب نشر تصريحات للرئيس عن تدخله في الشأن الداخلي للسودان، ثم أطلق سراحها بعد سنوات من الحبس. 32 اسحاق محاري اعتقل في 1998م لعامين ثم أعيد للعمل في Eri-TV. 35 محمد إبراهيم دبساي مذيع في Eri-TV ، اعتقل مرات عديدة لرغبته في الاستقالة عن العمل. توفي في أغسطس الماضي. 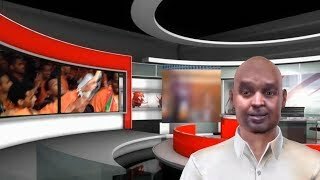 37 أحمد إدريس (بهجة) مذيع في Eri-TV اعتقل مع دانئيل كبروم في طريقهم إلى أثيوبيا، وأطلق سراحه وأعيد للعمل لتكذيب إشاعة تصفيته في الحدود. 38 منال جلال مذيعة بصوت الجماهير، اعتقلت لفترة وأطلق سراحها. تعمل حالياً مُدَرسة. وهنالك عدد كبير من الصحفيين الإرتريين قد فرّ بعضهم قبل الحرب مع إثيوبيا والبعض الآخر بعدها، هرباً من بطش النظام ومضايقاته، ويتوزعون على قارات العالم ولا يجمع بينهم جامع رغم سهولة الاتصالات وقلة تكاليفها. فالحاجة ملحمة وملزمة، اليوم قبل الغد، لتأسيس شكل من أشكال التجمع لتنظيم صفوفهم وبذل جهودهم في سبيل عمل شيء ما لزملائهم في سجون نظام أفورقي.وفيما يلي قائمة لبعض من الصحفيين والإعلاميين الذين كانوا يعملون في وسائل الإعلام التابعة للدولة فخرجوا من إرتريا بعد أن أدركوا أن صدر حاكمها لا يتسع للرأي الآخر.